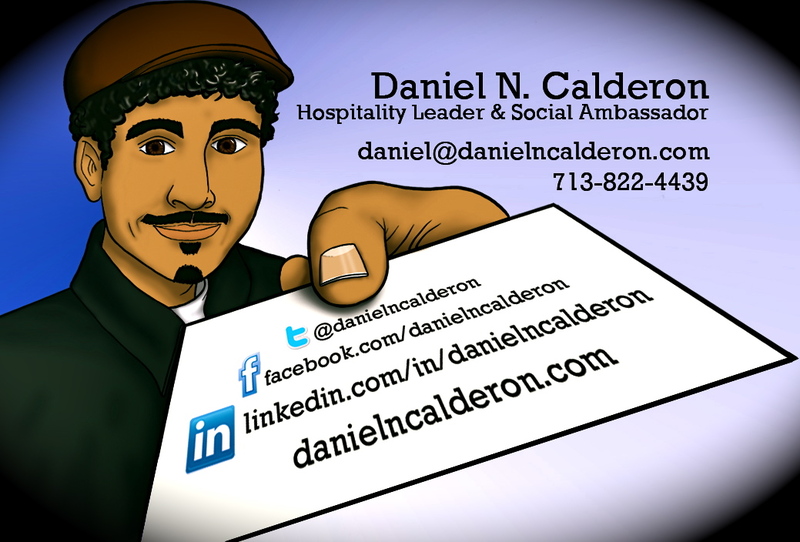 Daniel N. Calderon, a hospitality leader who has been involved with social media since the late 90s, is a student at the Business and Hospitality Colleges at University of Houston. Daniel loves the integration of the hospitality industry and social media and has been extremely proactive in many such endeavors. Recently, he became the Social Media Manager and Ambassador for A’La Carte Foodservice Consulting Group and Hospitality Pro Search. A few years ago, he learned that the hospitality/foodservice industry is always behind in technology and since he is passionate about helping others, he formed The Foodie Team on Twitter and Facebook to help foodies who may not be as proficient in social media connect with their target audience. One of the first strong bonds Daniel developed was with @MobileFoodNews. Because they share similar goals (to help disseminate knowledge to the foodservice Industry), it was a perfect fit. After a few encounters/conversations, Daniel pointed out improvements about their twitter avatar and Mobile Food News kindly took his advice. A short time passed and Daniel came across @stirandenjoy on Twitter and, though he liked their website and what they had to say, he felt it did not display an explicit definition/explanation of their services. After providing some recommendations, they eliminated some of the business jargon in their product descriptions thus making it more understandable for their prospect customers. He’s also coaching @The_Yummy_One , a foodtruck, and bounced ideas with @iluvMarthasVY on ways of making money via social media. There are a few others he’s met and aided specifically though social media, mostly by providing an opinion on social media image, best practices and pragmatic advice. If you wish to meet Daniel, shoot him a message! He can be found via Facebook, Twitter, and Linkedin.